The touring production of “The Humans” arrives in Boston this week. NEW YORK — During post-show talk-backs, playwright Stephen Karam always laughs when people ask why he saddles his characters with so many problems. He remembers fielding those kinds of questions with his dark comedy “Sons of the Prophet,” which premiered at the Huntington Theatre Company in 2011 and was a finalist for the Pulitzer Prize. In that play, his characters wrestle with death, grief, health issues and lack of insurance, sexual identity, and financial difficulties. 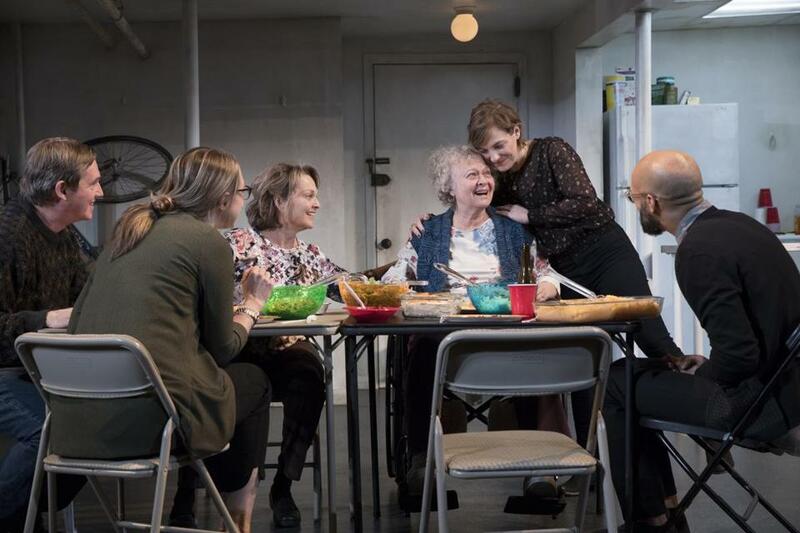 The fractious-yet-loving Blake clan in Karam’s painfully funny “The Humans,” which won the Tony Award for best play on Broadway in 2016, can relate to these same issues. They, too, are grappling with the economic, social, and cultural anxieties and sense of loss that afflict so many working- and middle-class families these days. The touring production of “The Humans” comes to the Boch Center Shubert Theatre March 13-25. The Blakes, hailing from Karam’s own hometown of Scranton, Pa., are gathering to celebrate Thanksgiving in the spacious-though-scruffy Chinatown duplex of strong-willed youngest daughter Brigid (Daisy Eagan) and her boyfriend, Richard (Luis Vega), who’ve just moved in together. Parents Erik (Richard Thomas) and Deirdre (Pamela Reed) have traveled into Manhattan with Erik’s mother “Momo” (Lauren Klein), who has Alzheimer’s and is in a wheelchair. Eldest daughter Aimee (Therese Plaehn), a lesbian lawyer, has come in from Philadelphia. Karam, a Brown University graduate whose sister lives with her family in Needham, says he became intrigued by the idea of fashioning “a true genre collision,” mashing up the social realism of the kitchen sink drama and the family dinner play with elements of a Hitchcockian suspense thriller. Karam once lived in a basement apartment on the Upper West Side, not unlike the one seen in the play. He had a window that looked out onto an air shaft that filled up with discarded cigarette butts tossed by people living higher up in the building. Offering no view of the outside world or even the sky, the space had a sometimes-eerie quality. “People who had been there would just laugh because it was uncomfortably close to what you see on stage,” he says. While there is some tumult and chaos during dinner, “The Humans” isn’t the kind of knock-down-drag-out family drama where the audience should worry about “a plate being smashed over somebody’s head or the daughter getting thrown down the stairs because she’s a lesbian,” Karam says.